Handmade fabric flower brooches - each separately melted over a fire and embellished by hand in Kraków, Poland. The shop is now live! Click HERE. The three shades of Breezy Pink work together flawlessly. The slightly shinier texture of the flamingo pink petals gives it amazing depth. And the black center adds just enough zing to contrast all that cuteness. Great gift for a pink-lover, can also work as breat cancer awareness symbol. 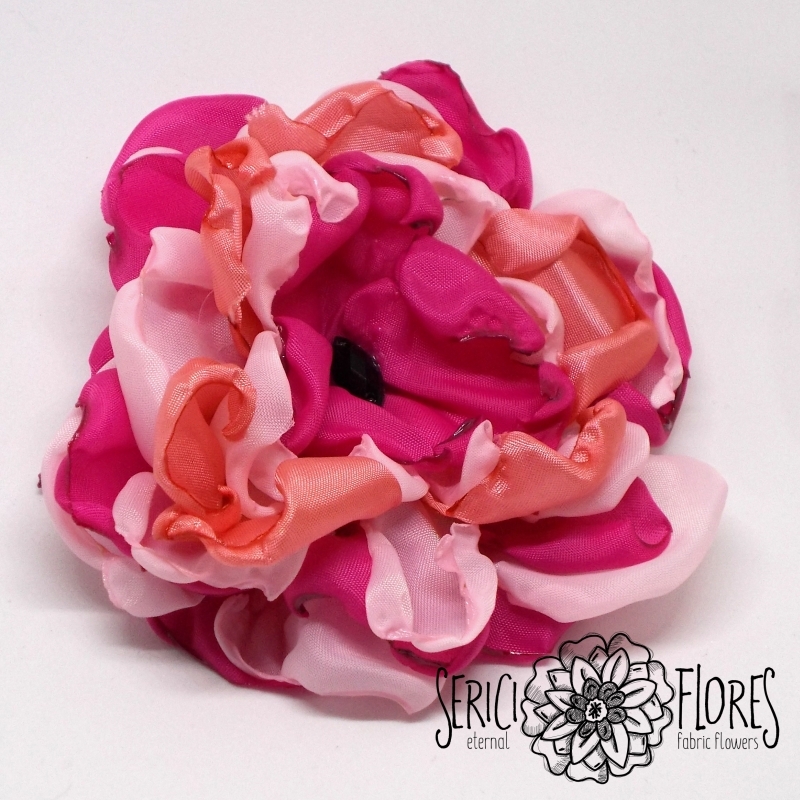 And, of course, perfect flower for a little ballerina!